There comes a point in your life when you realise that there are no rehearsals this is the only chance you get. With this in mind we decided that we wanted to swap our office jobs in the town for the opportunity to live and work together in the glorious British countryside. Thus the search for the new life idea set root. Initially smallholder farming was discounted as we had no great knowledge in that area, but things were to make a dramatic U turn when by a lucky chance we saw an alpaca farm on the local TV news, and knew that was something we could do. With some research on the internet and visits to our local farms we realised that this was what we were looking for, and so Cherwell Leys Alpacas was begun. With the result that we are now settled in East Martin, enjoying the great outdoors, caring for our alpacas, a truly life-enhancing experience. 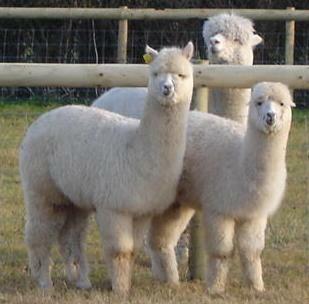 We came to farm alpacas in Hampshire and after careful consideration we decided that our aims were not to stand still but to use the best alpacas we could source to continually improve year on year the quality of our cria. The first step was to choose our stud male, Supreme Champion Wellground Farleigh, who is now standing at stud at Cherwell Leys. Then we needed to invest in superior alpacas selecting the best genetics from Australian and South American bloodlines, the future of alpacas in the UK is happening now, we are focusing on developing alpacas for finer fleeces.